As a family, we sort of do everything in the cemetery. We have picnics there, watch the sunset there, go for long walks there and wonder about all the past lives that we see before us. Graves here at our local Woodlawn Cemetery go back to pre-revolutionary times. 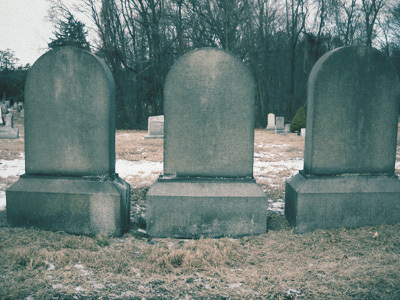 I often wonder about those tombstones... those long-ago dates... what were these lives about. I often wonder while walking through this ancient necropolis, imagine all the people laid to rest here that never knew the 20th century, let alone our crazy times. What would you say to someone from 1769 or 1869 for that matter. I often wonder what took their lives in a world not yet privledged enough to have "miracle" drugs or procedures to extend life but not the quality of it. What would you say? 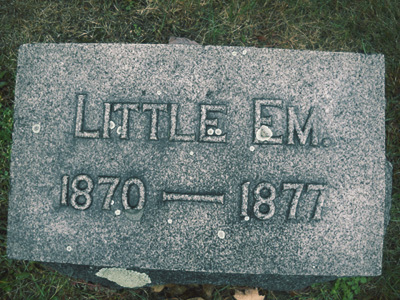 I first noticed "Little Em" as I was rounding a turn in Woodlawn Cemetery about a week ago. January 10, Saturday, 2015 at 9am. The first thing that hit me were the clothes. I don't know if young girls are bringing back 19th century night-shirts with frills and all, but that's exactly what this girl was wearing... in the freezing cold morning. She looked to me to be about 7 or 8 and at first I thought she was the caretaker's daughter or someone doing some planting because she was chopping at a tree furiously with an ax or hammer or something and... she was crying. The only way to describe her would be to say that she looked like the old silent movie child star Baby Peggy. That's EXACTLY what she looked like. I slowed down my walking, and then sped up as I didn't want to frighten her suddenly. She was chopping and chopping, I honestly thought she would hurt herself.. she was very short and her hair looked curled and black.. it stood out against her white gown... she wasn't barefoot.. she had little boots on. As I approached I shouted "good morning"! No response. She was still chopping faster and now I could see her tears and better hear the sobbing. I said again..."good morning... are you ok?" She stopped chopping the tree long enough to exclaim... "are you from the town"? Yes, I said.. I live down the road... are you from the church? She said "father will be cross with me now!" She stood just looking at me with a sad face that turned into a great big dark-eyed smile. 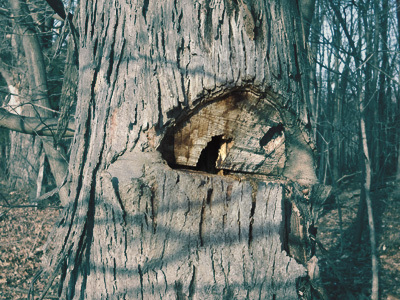 She turned around after that smile upon me and started to chop into the side of the tree again. I walked away feeling very strange but sensing trouble with this girl, so I said "goodbye for now" and walked away, rounding a bend... looking back once or twice to make sure she was still there... and headed straight to the church/caretaker's house on the grounds. I knocked on the door and the caretaker's wife answered. 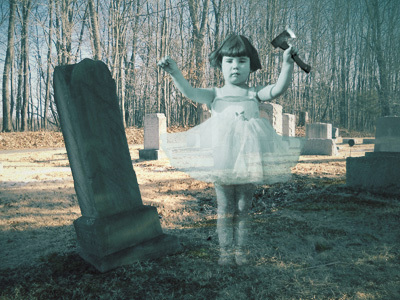 I asked her if she knew this little girl with the strange clothes that was at the back end of the cemetery chopping at one of her trees. I began to tell her about my whole morning encounter when she suddenly stopped me mid-story and proclaimed... "Ha Ha!! That's just Little Em!" Hoping to hear at this point that "Little Em" was her niece just in from New Jersey... she told me that Emily was a child that died of fever in 1877 and that she sometimes comes up to their home and looks through the window. They leave out cookies for her sometimes. Her grave is right where I was standing!!! The caretaker's wife told me that they hear her crying, laughing and talking to herself in the winter mostly... that's when she left this earth... at age 7 and a half. 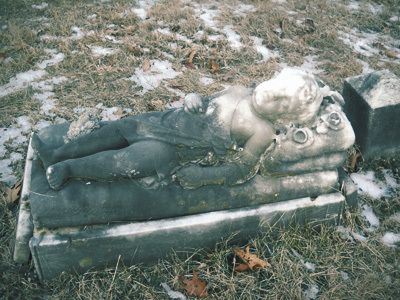 Her father had sent her to fetch water from a spring that used to run through the land that became the cemetery and to get wood... legend has it she died from the exposure. This was a morning I shall never forget. 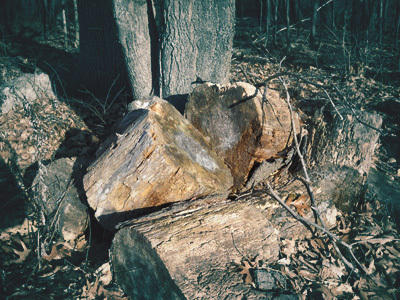 I went through again before going home and of course Little Em was gone... but NOT completely... the tree she was chopping is still there and a woodpile beneath it... and... her tiny gravestone. I was not aware of this local legend until now. I have a new outlook now when I walk here, past Em's tree, thinking of those clothes... the tears. There is another world for us to discover after we depart this one... Little Em is proof enough for me.